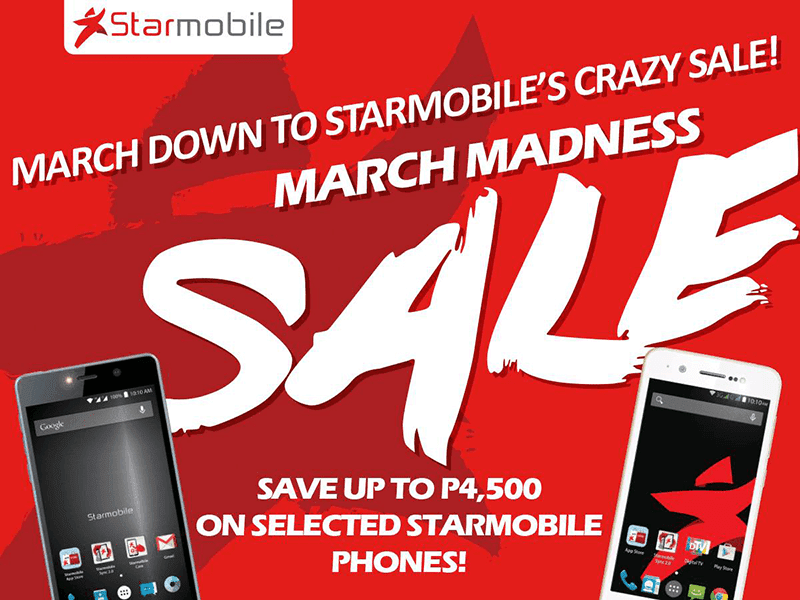 Starmobile March Madness Sale Announced! Get Crazy Good Smartphone Deals With Up To 4500 Pesos Off! Home / mobile / news / starmobile / Starmobile March Madness Sale Announced! Get Crazy Good Smartphone Deals With Up To 4500 Pesos Off! If you missed the recent barrage of Starmobile sale last Valentines season, this is your chance again! Starmobile just announced their March Madness Sale where-in you can get selected capable handsets with up to 4,500 Pesos of savings! Starmobile March Madness Sale announced! One of the best deals out there are the Knight Vision and the Knight Elite which is my always recommended handset in the sub 6.5K edition. Aside from those two, the rest of the devices comes with even better value for money now. To read our Starmobile Knight Elite Review: Click Here!